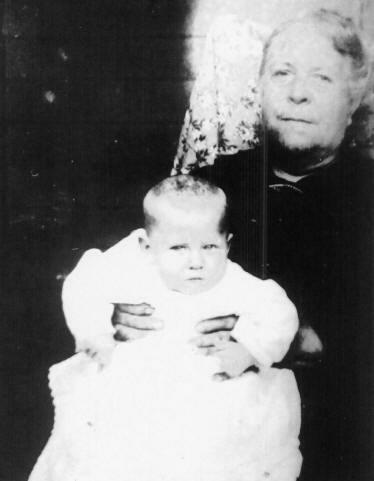 Sarah Catherine Rebecca Goble was the last child born to Jacob Hedrick Goble and Frances Elizabeth Douglas. 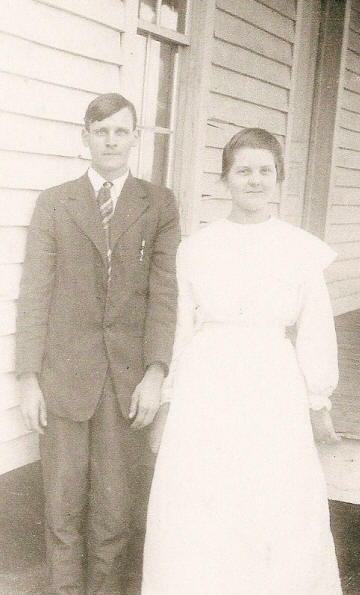 Rebecca (or "Becky" as he was called by family and friends) was born 01 Aug 1896 in Alexander County, NC. 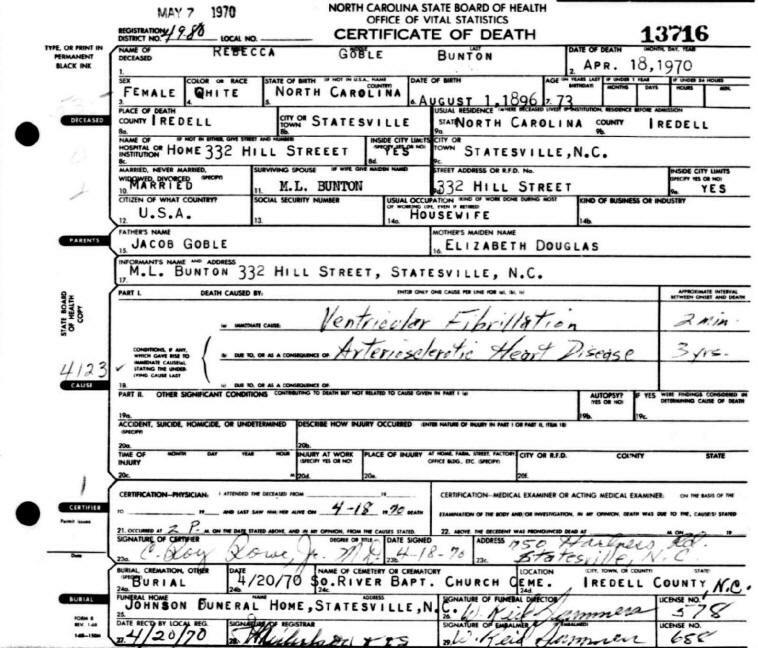 The 1900 Miller's Township Census of Alexander County, NC, showed that there were seven living on the family farm. The 4 children were living with Jacob and Fannie as well as Fannie's mother, Mahalia Douglas. Fannie is listed as having had 5 children but only 4 were living. 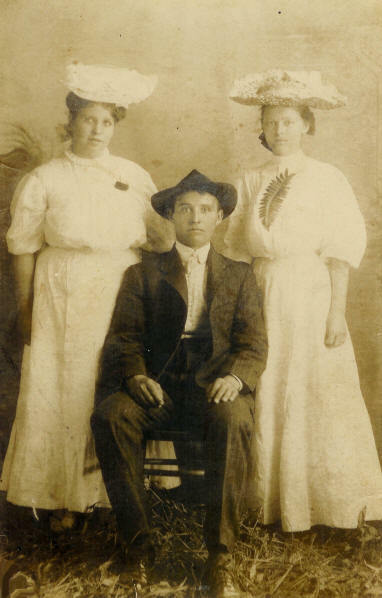 By 1910, Jacob and Fannie only had 3 children. 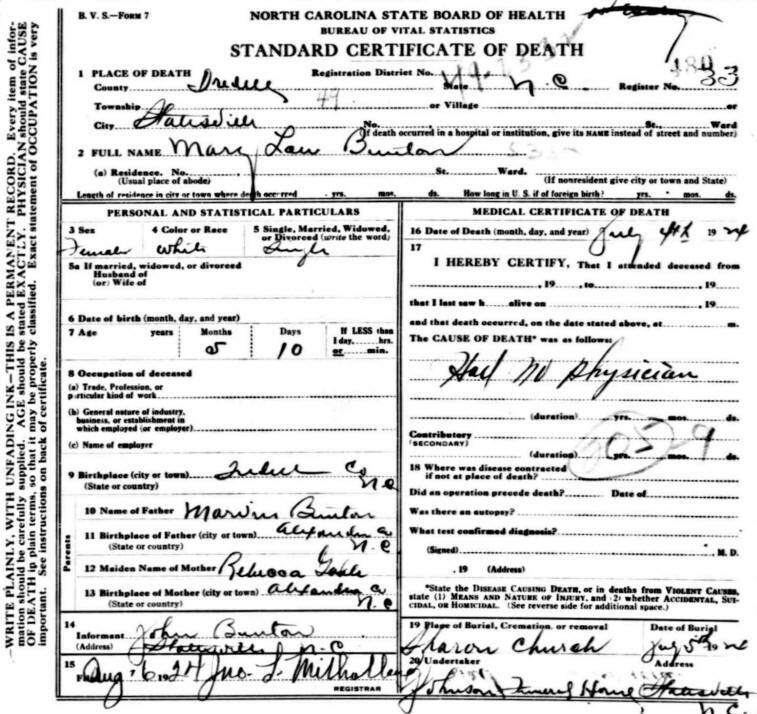 Eliza Jane had drowned in the Catawba River on the way home from church in 1907. Jacob's age is correctly listed as 49. The Goble family also had a "servant", Nessie Johnson, living with them in 1910. Before the year was out, Nessie married Od's brother, Martin Luther Goble. Od's age was listed as 15-years-old and Becky (Sarah C.) was 13. 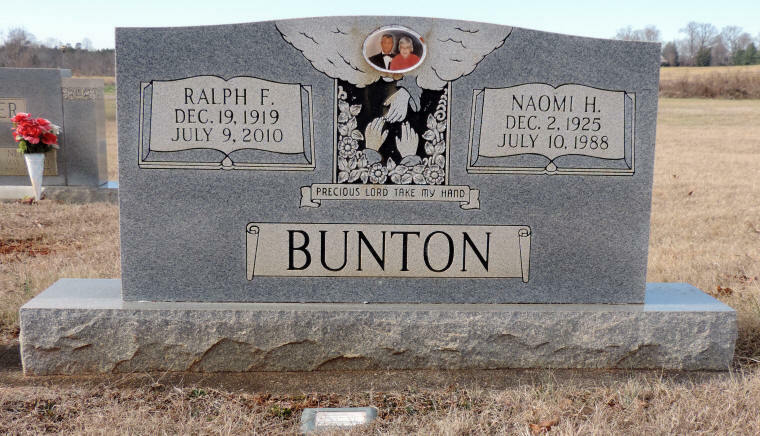 Becky married Marvin Lee Bunton, Sr. on 29 Apr 1917. 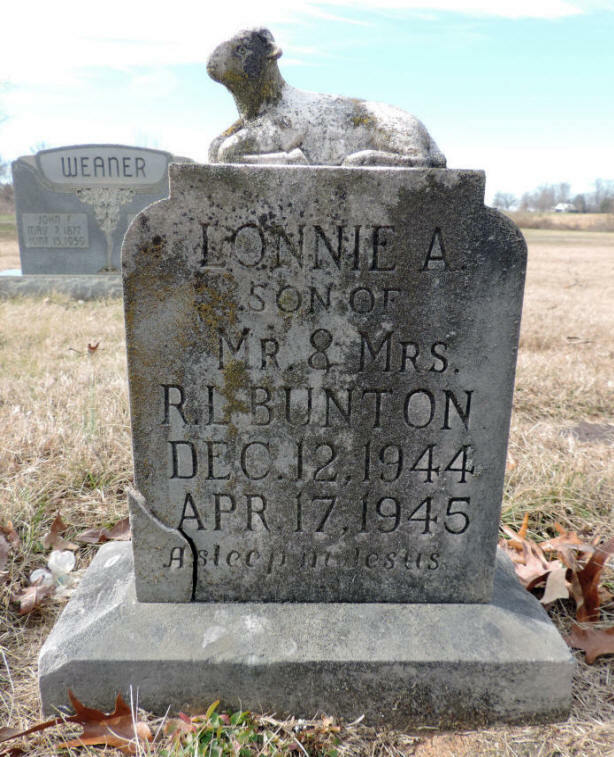 Marvin was the son of Barney Lincolnton Bunton and Alice Luana Propst. 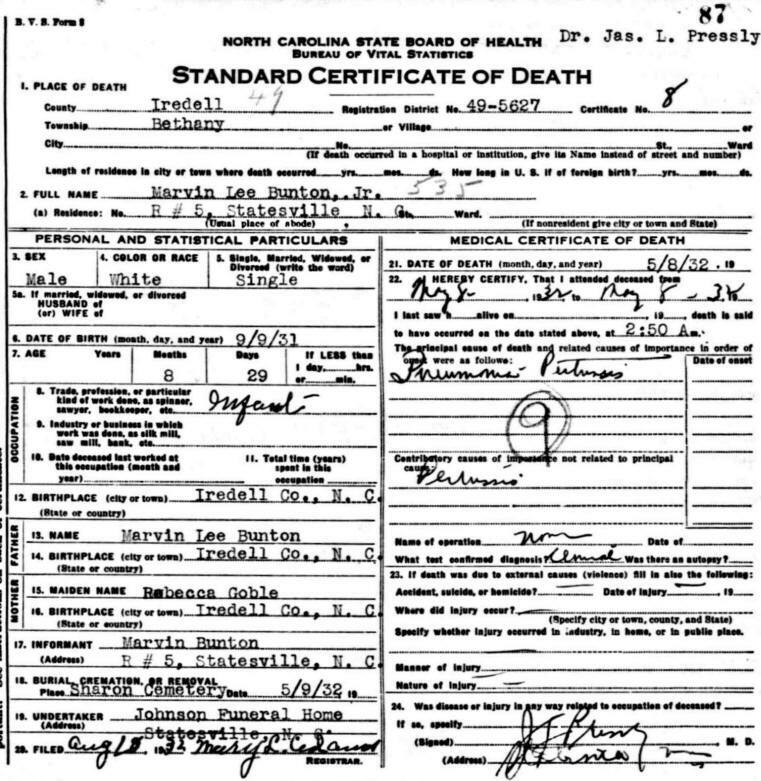 By 1920, the Census shows that Jacob and Fannie had moved the family to Iredell County. 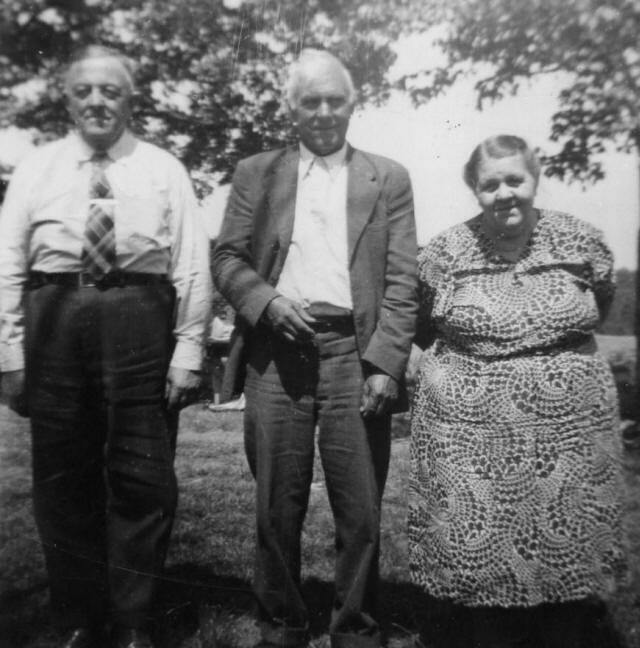 Becky, as well as her husband, Marvin Bunton, and their son Ralph were living with Jacob and Fannie on the Goble family farm. Ralph Bunton had been born on 19 Dec 1919. Becky's brother, Otis, was also living with the family. 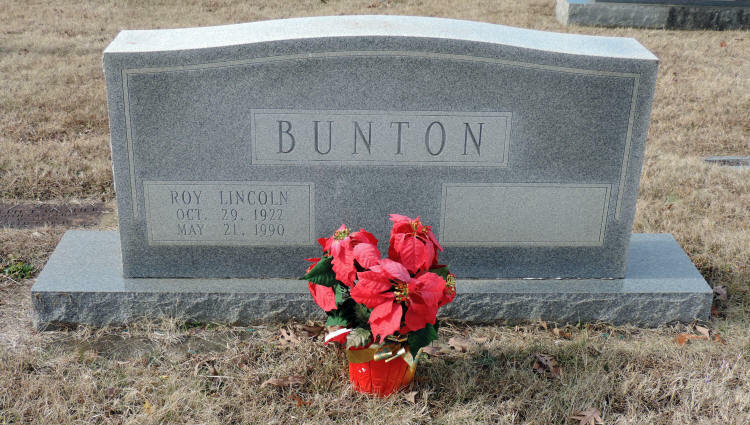 Becky and Marvin had a son, Roy L. Bunton, who was born on 29 Oct 1922. 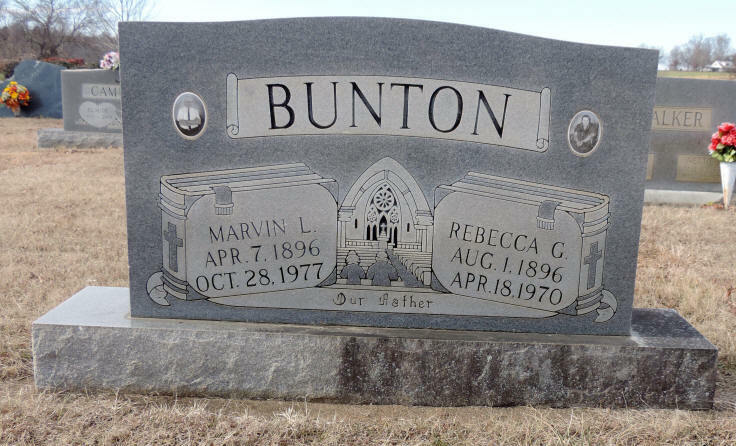 Becky and Marvin had a daughter, Mary Lou Bunton, born 22 Jan 1924. Mary Lou died 24 Jul 1924. No cause was listed on the death certificate. Other children born before the 1930 Census include Fannie Bunton, born 11 May 1925, and James Eugene Bunton, born 17 Aug 1926. 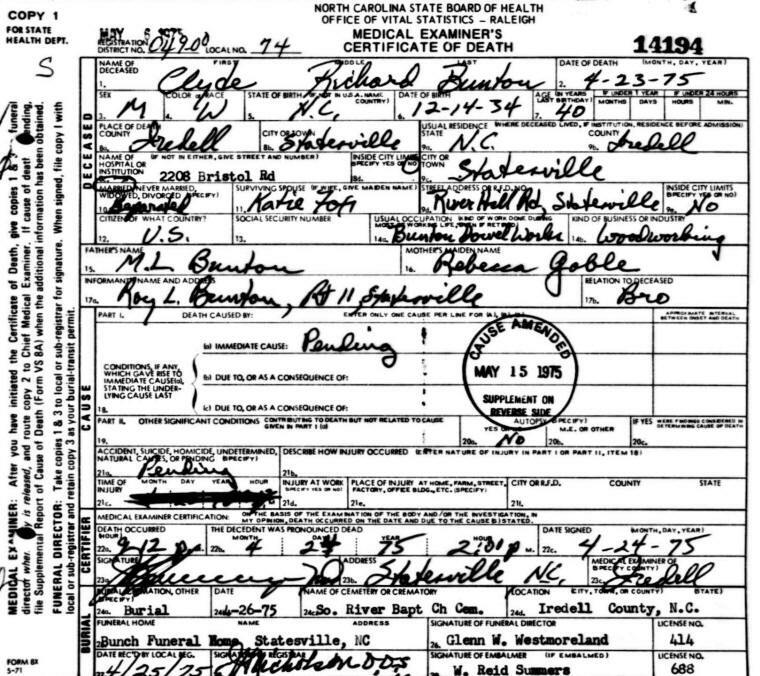 Other records also indicate that Becky & Marvin has a son, Commie Lester Bunton, born 09 Mar 1929, but there is no indication as to why he was not listed on the 1930 Iredell County, NC, Census. The 1930 Statesville Township Census of Iredell County shows Becky and Marvin as having five children: Ralph age 10, Roy age 7, Fannie age 4 10/12, James age 3 and Marvin age 1. Becky's age was 32 and Marvin was 33. 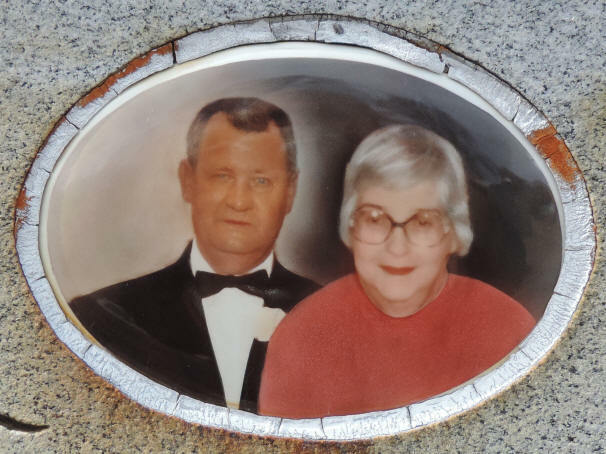 Becky died 18 Apr 1970 from heart disease - more specifically "ventricular fibrillation" - when the heart's electrical activity becomes disordered. She was 73 years old and living at 332 Hill Street, Statesville, NC. 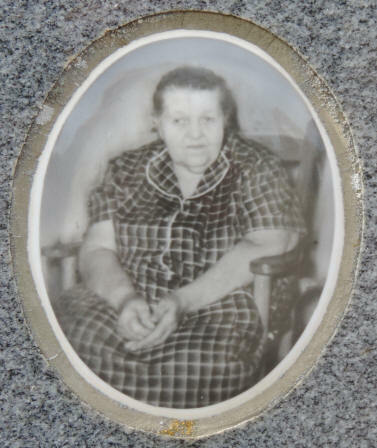 She was buried in the cemetery of South River Baptist Church in Statesville, NC. 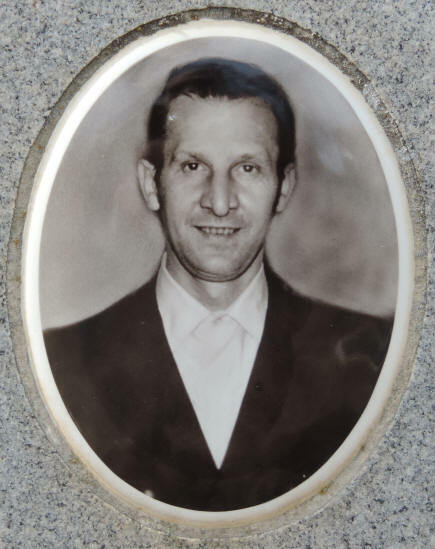 Marvin Lee Bunton died 28 Oct 1977. 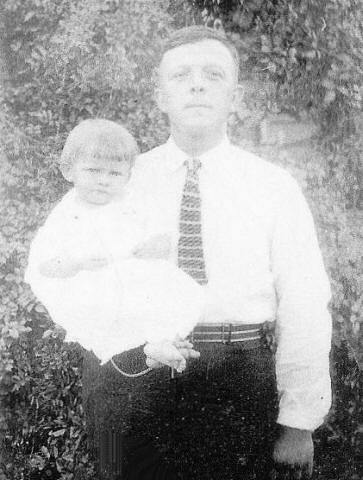 Marvin Lee Bunton, Jr. died 08 May 1932 from pneumonia, at the age of 8 months old. 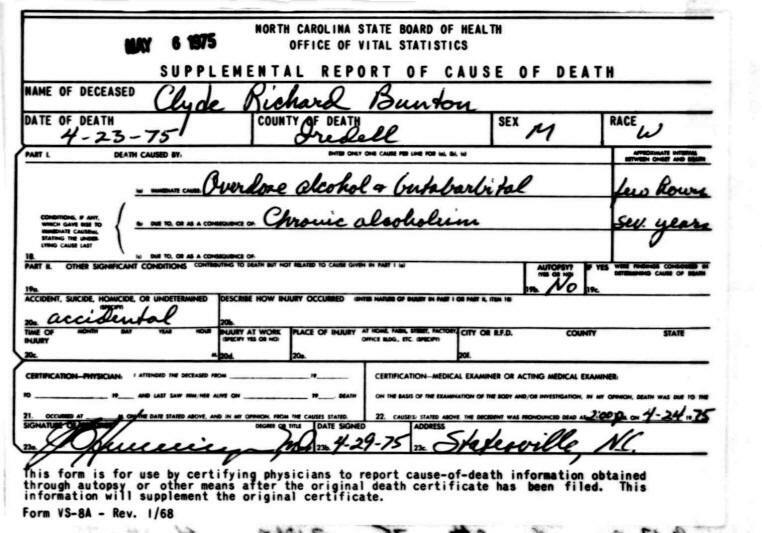 Death Certificate for Marvin Lee Bunton, Jr.
Becky and Marvin's next-to-youngest child, Clyde Richard Bunton, died 23 Apr 1975 as a result of an overdose of alcohol and prescription sleeping-pills. He was 40-years-old and separated from his wife, Katie Fox, at the time. The cause of death was listed as "accidental" but circumstances lead you to believe it could have been otherwise. He is listed as being an alcoholic. 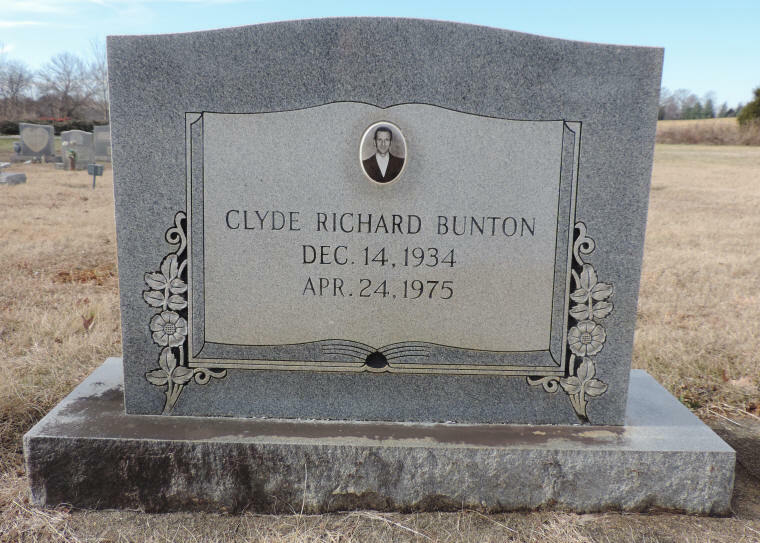 Clyde was buried in the cemetery of South River Baptist Church in Statesville, NC. for the photos of Otis Goble and his family. 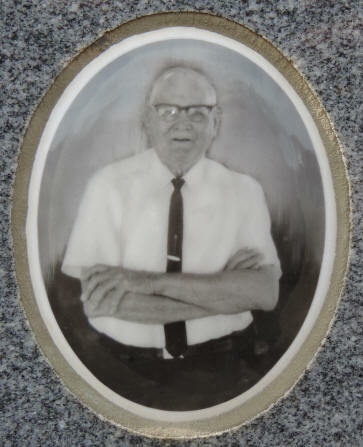 If you have additional photos or information about Otis Caldwell Goble, please contact me.